Thanks to the internet, Hip Hop has grown from a label-dependent industry to one full of opportunities for those willing to go after them. Recording equipment is more affordable, effective marketing platforms are more accessible, and contacting industry professionals is easier than ever. So, why is there still such a small percentage of Hip Hop artists who've become successful? The answer to that question is simpler than you think, and it has nothing to do with lack of talent or money. You can spend all of your time chasing and trying to catch the cat (fame, money, success, etc. ), but chances are, you’ll never catch it. The cat is too fast and will always get away from you at the last minute. But what if, instead of chasing the cat, you create cat food (value) and let the cat come to you? This is why so few Hip Hop artists become successful. They’re too busy chasing success (the cat), instead of creating genuine relationships (cat food), learning how to become successful (cat food), and putting in the work (cat food) necessary to attract success. How do I get more views on my Soundcloud? How do I get more downloads of my mixtape? How do I sell my music to people? It makes me sad. When I see these types of emails, I know the artist is chasing success. They’re worried about stats and numbers, when they should be worried about their audience. Views DON'T make you successful, followers DON'T make you successful, and downloads DON'T make you successful. Stats, and any money you earn, are a RESULT of the WORK you’re putting in. How do I add value for my audience? How do I build relationships with influential people? Where can I find educational business, marketing and communications information? By adding value for your audience, you can enhance fan loyalty and increase engagement. Fan loyalty and increased engagement will attract more Soundcloud plays, followers, downloads, customers, etc. By building relationships with influential people, you increase the amount of opportunities available to you. 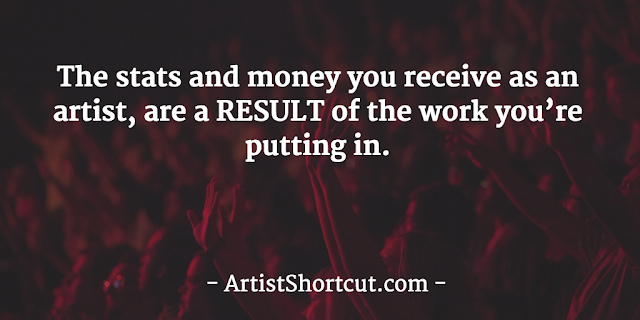 More opportunities can attract more fans and money. By learning how to become successful through educational information, you’ll begin to learn how to add value to your audience, build relationships with people, and a ton more. Your answer should always fall into one of the following categories. Relationships are so key that without them you won’t be successful. Now, don’t feel bad or hopeless if you don’t have a lot of relationships with people in the industry. These take a while to build, but once you have them, they’re priceless. Find the email address for 10 influential people in Hip Hop and send them an email introducing yourself. Don’t promote or link your music anywhere in the email. Your main goal is to build a relationship. I usually recommend keeping the email focused on what you can do for them. If you don’t get a response within 7-14 days, follow up with them. People are busy. It’s possible that your message just got lost in the inbox and your follow-up email will help remind them. You want fans and, likewise, the people with whom you're trying to connect want them too. When you see them post new content, share it on social media, leave a comment and show support. They’ll notice, and this will make connecting with them much easier down the road. Connect with others in their circle(s). This is one of my secret techniques. If you want to build a relationship with someone who's hard to reach, focus on building relationships with people around them, and you’ll eventually be able to connect with the hard-to-reach person. The key to this technique is to build genuine relationships. Do NOT try to build a relationship with someone just so you can get to someone else. That’s the wrong way to use this technique and it’s going to make you look foolish. Only connect with someone if you feel it’s a win-win relationship for both of you. As the saying goes, “the more you learn, the more you earn.” The more you understand about business, marketing, finance, communications, etc., the more you’ll understand success. Success in Hip Hop is not a secret, and everything you need to know can be found in books, on the internet, and from others. Don’t be afraid to ask questions and don’t be afraid to look stupid. The only stupid person is the one who had a question but did not ask it. In addition to dreaming big, you must put in the work necessary to become successful; and you can't be afraid to fail. A multi-millionaire once told me, “The faster you fail, the faster you get it out of the way and succeed,” and it’s a wonderful quote by which to live. If you’re not making mistakes and failing, you may not be dreaming big enough. 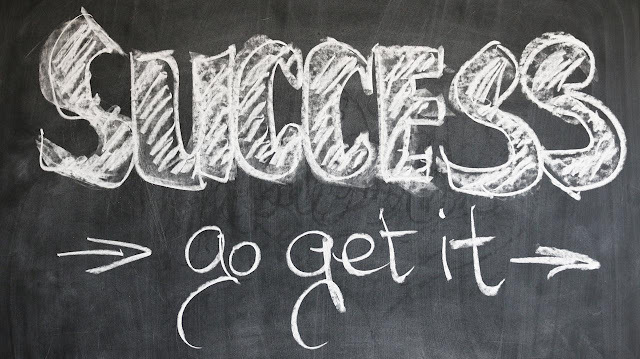 Have you ever found yourself chasing success instead of doing the things necessary to attract success? If so, share your story in the comments and tell us what advice you’d give to anyone who’s still chasing success.